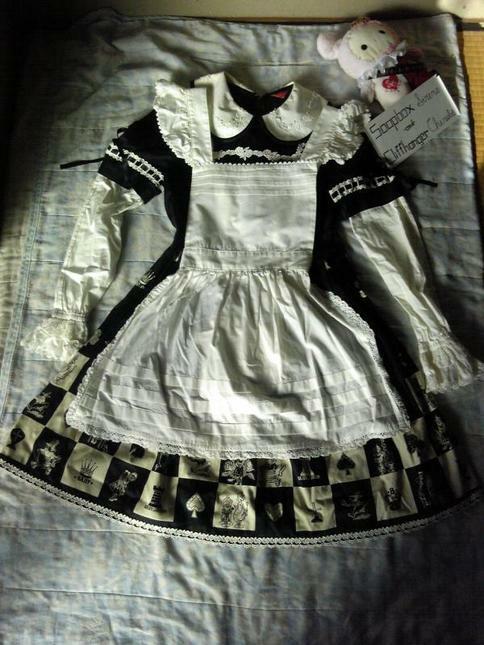 -BABY Apron from Alice's Chess Print OP: This is the apron only, not the op. The frilly shoulder straps attach to the back ties. There is a spot on the very edge of the waist tie, which keepts the condition from being Like New. Please message me if you have any questions. I am happy to help!